Posted 10:10 am by Rebecca Worrall & filed under . Posted 2:30 pm by Rebecca Worrall & filed under . 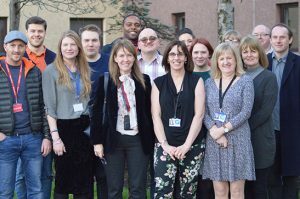 CJS has submitted a brief response to the Scottish Government on its Prisoner Voting consultation following our Board meeting on 23 January 2019. Read our response here. Posted 12:10 pm by Rebecca Worrall & filed under . 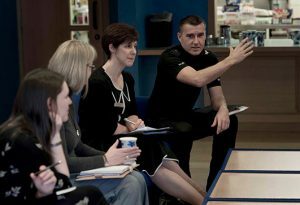 Do you want to make a difference in communities across Scotland, changing lives for the better and improving safety for all? Do you have the skills and experience to take on the role of Chair of Community Justice Scotland? Find out more here. Posted 11:56 am by Rebecca Worrall & filed under . Posted 9:39 am by Dorothy Smith & filed under . Posted 9:39 am by Rebecca Worrall & filed under . Posted 1:02 pm by Mairi Clare Rodgers & filed under . Posted 2:22 pm by Mairi Clare Rodgers & filed under . Posted 2:30 pm by Mairi Clare Rodgers & filed under .